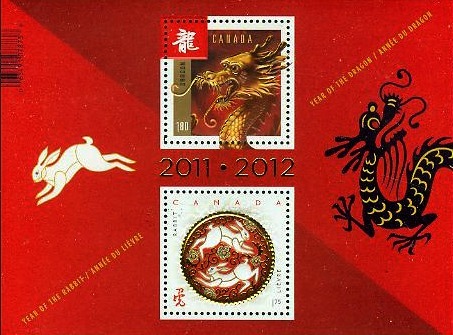 So let’s start the New Year with this short video I’ve done using Animoto to showcase the beautiful Canadian philatelic products issued to commemorate the 2012 Lunar New Year. 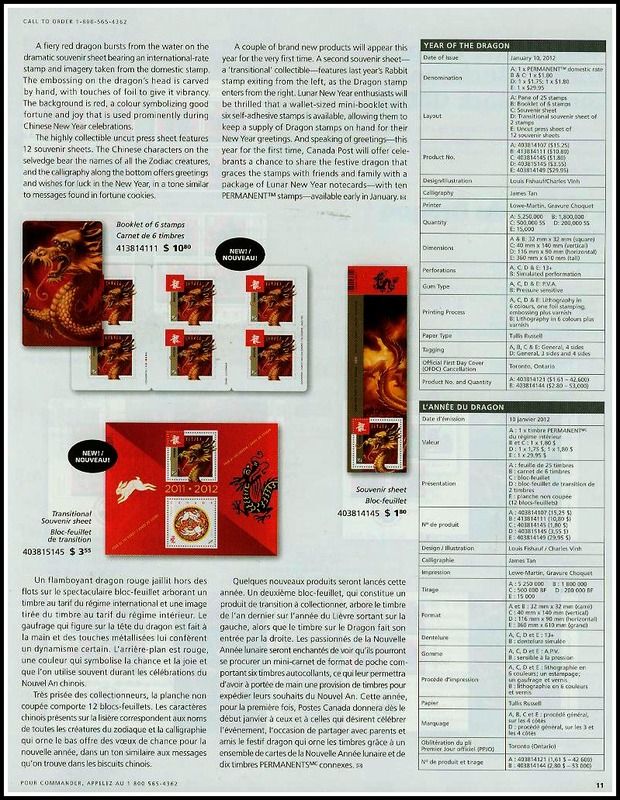 “Thinking of dragons may conjure up fire-breathing, serpent-like beasts of fantastic legends, but in many Asian cultures, these magical, mythical creatures are benevolent, associated with wisdom and longevity. 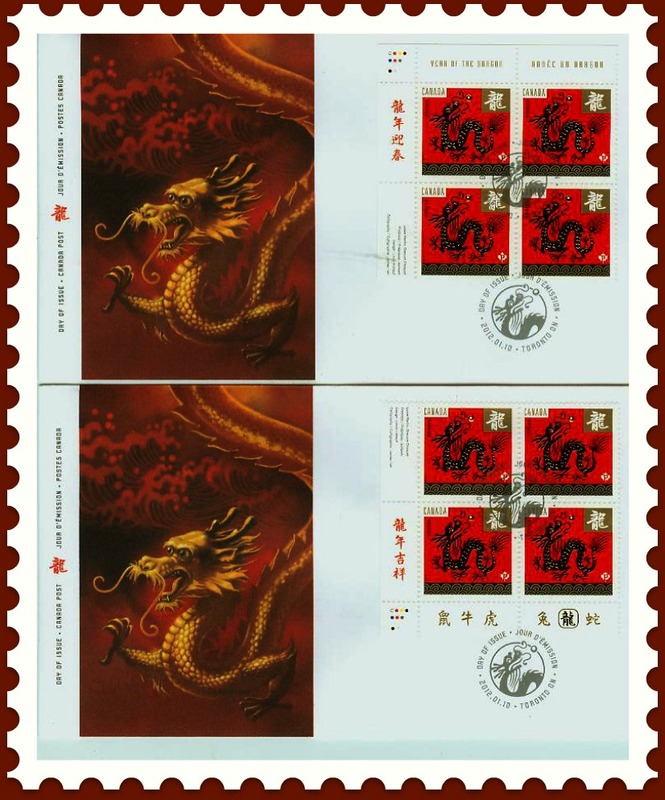 They are revered for their influence over the primal forces of nature; for example, the Chinese water dragon has potent and auspicious powers over rainfall, hurricanes and floods. 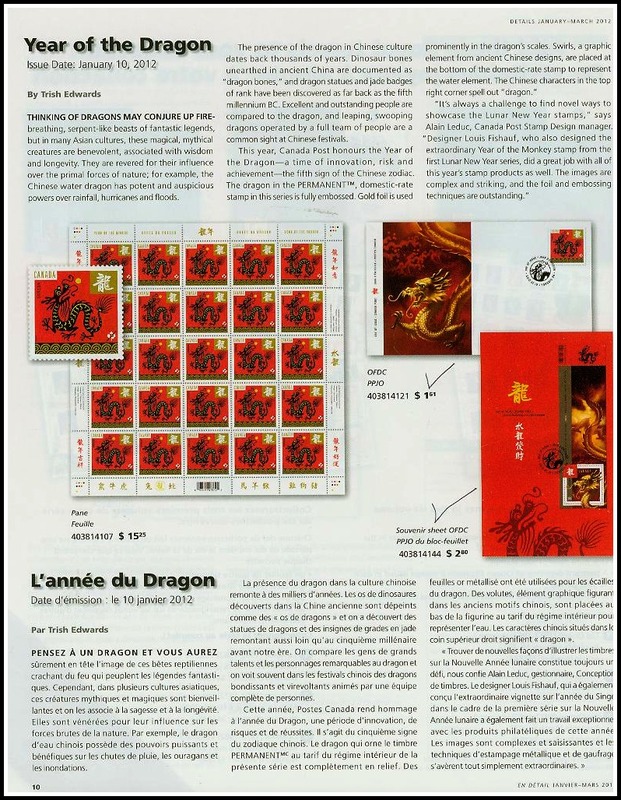 The presence of the dragon in Chinese culture dates back thousands of years. 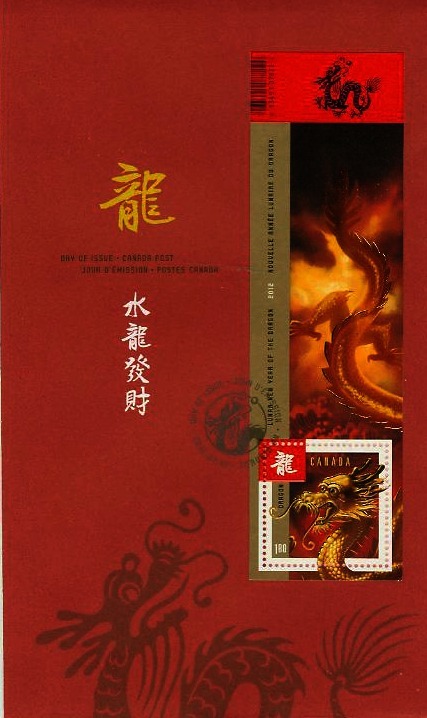 Dinosaur bones unearthed in ancient China are documented as “dragon bones,” and dragon statues and jade badges of rank have been discovered as far back as the fifth millennium BC. 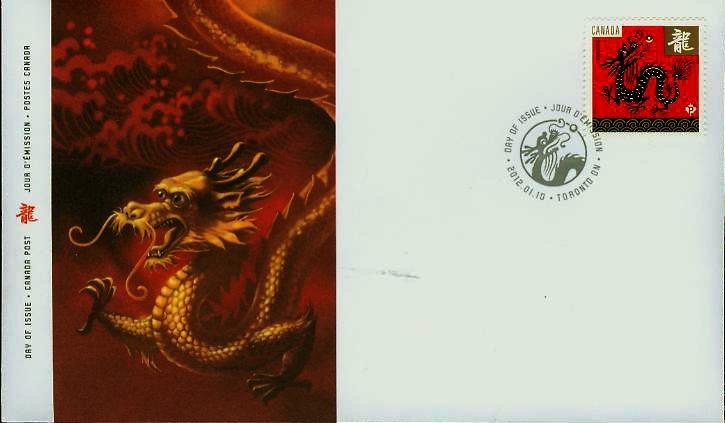 Excellent and outstanding people are compared to the dragon, and leaping, swooping dragons operated by a full team of people are a common sight at Chinese festivals. 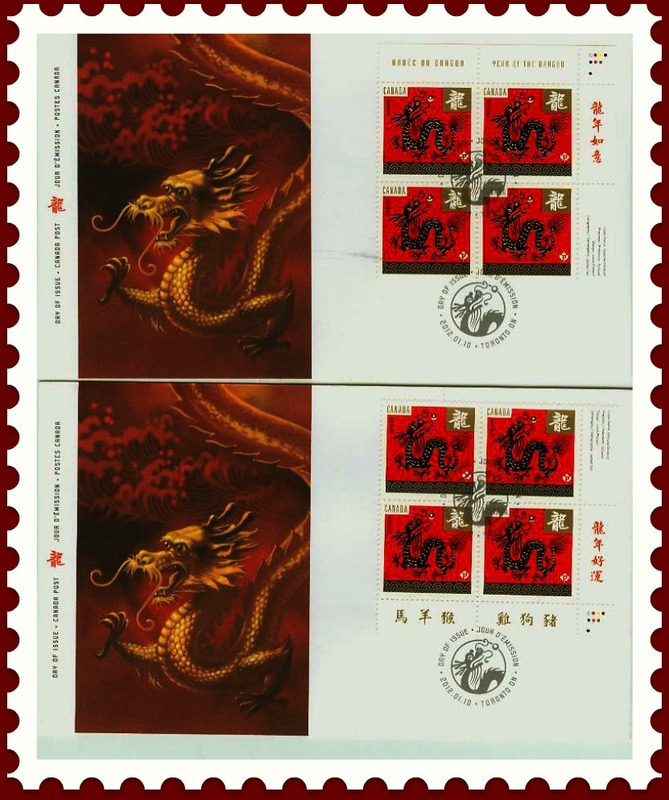 A fiery red dragon bursts from the water on the dramatic souvenir sheet bearing an international-rate stamp and imagery taken from the domestic stamp. 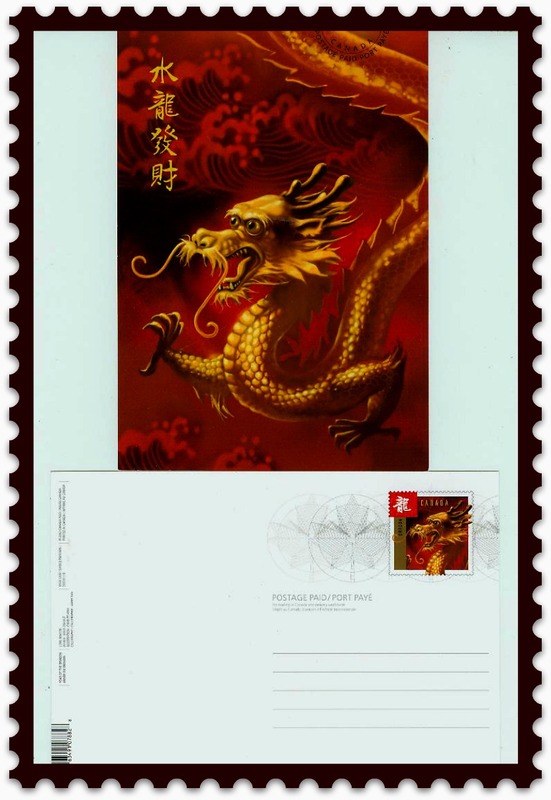 The embossing on the dragon’s head is carved by hand, with touches of foil to give it vibrancy. 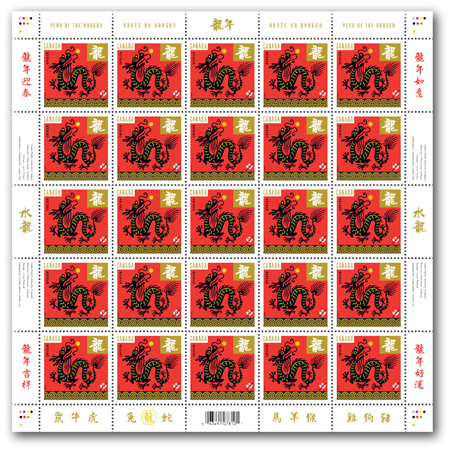 The background is red, a colour symbolizing good fortune and joy that is used prominently during Chinese New Year celebrations. 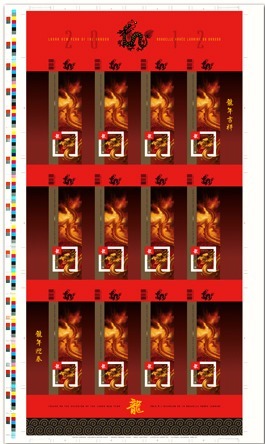 The highly collectible uncut press sheet features 12 souvenir sheets. 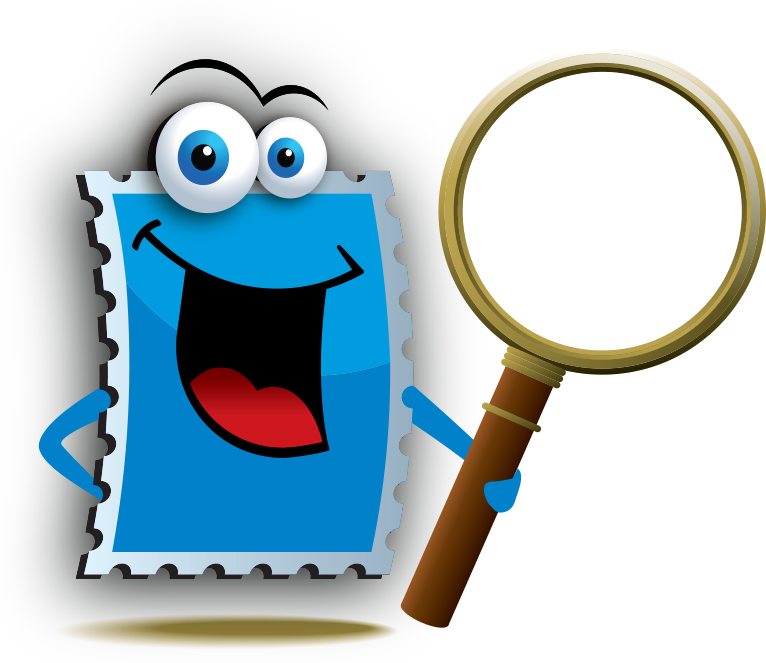 The Chinese characters on the selvedge bear the names of all the Zodiac creatures, and the calligraphy along the bottom offers greetings and wishes for luck in the New Year, in a tone similar to messages found in fortune cookies. 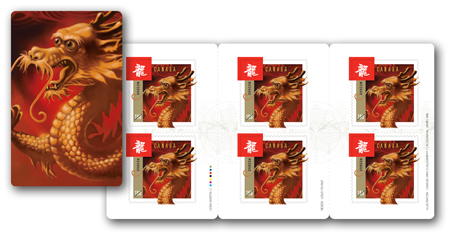 Delightful stamps for all Lunar New Year enthusiasts and Canadian stamp collectors! 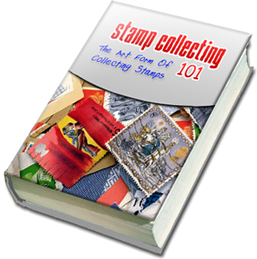 Leave a comment below to share your thoughts about this first Canadian stamp issue of 2012.